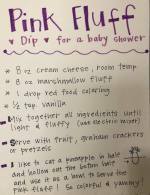 Below are some extra-adorable baby shower duck theme ideas! Decorating ideas to inspire you and get your creative juices flowing! 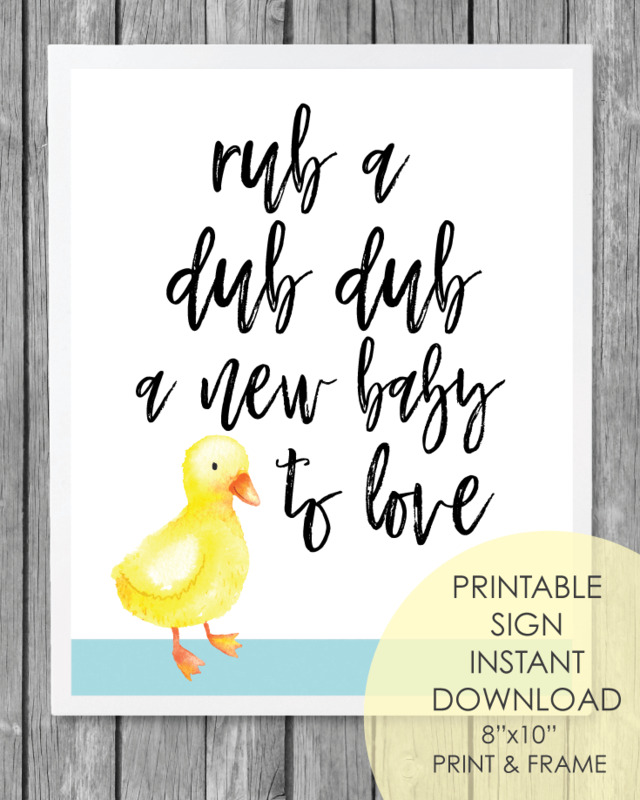 The popular baby shower duck theme goes hand in hand with bath time which makes decorating even more fun! 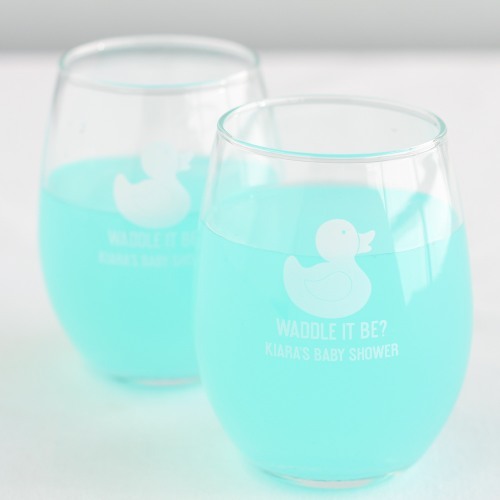 If you are throwing a gender reveal themed baby shower - these 'waddle it be?" ducks are perfect! 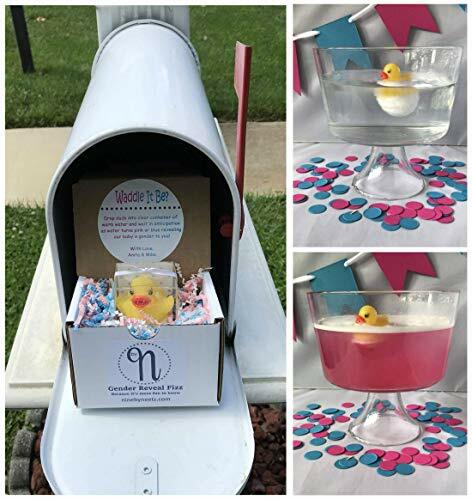 Have a large punch bowl filled with water - place the duck into the bowl - and the ducky will tell guests whether it is going to be a girl or a boy - by making the water pink or blue! Diaper cakes make perfect baby shower centerpieces - and you can give them to the mom-to-be as a gift at the end of the baby shower! 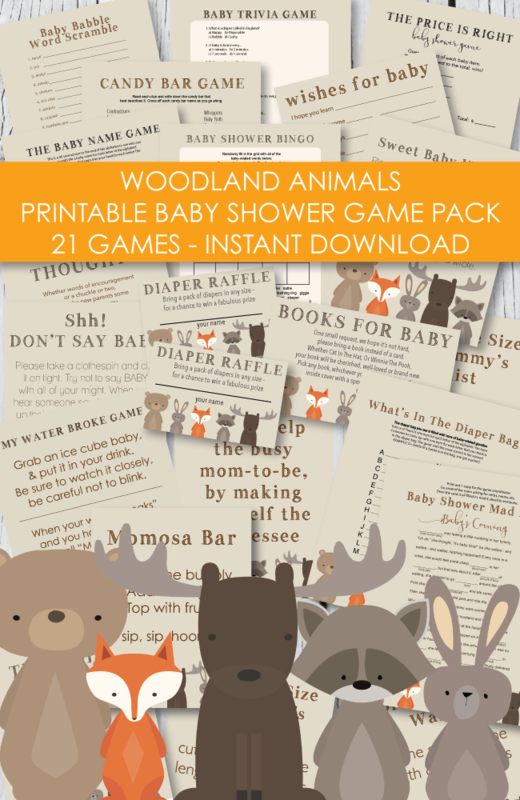 A great way to incorporate the diaper cake into the shower - and also a fun twist to the traditional baby shower memory game is to: add a few essential baby items to the diaper cake such as booties, lotion, baby shampoo, bottles, etc. 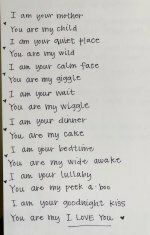 Tell everyone to take a look at the cute diaper cake - then take the cake out of the room and have the guests write down what was on the diaper cake. 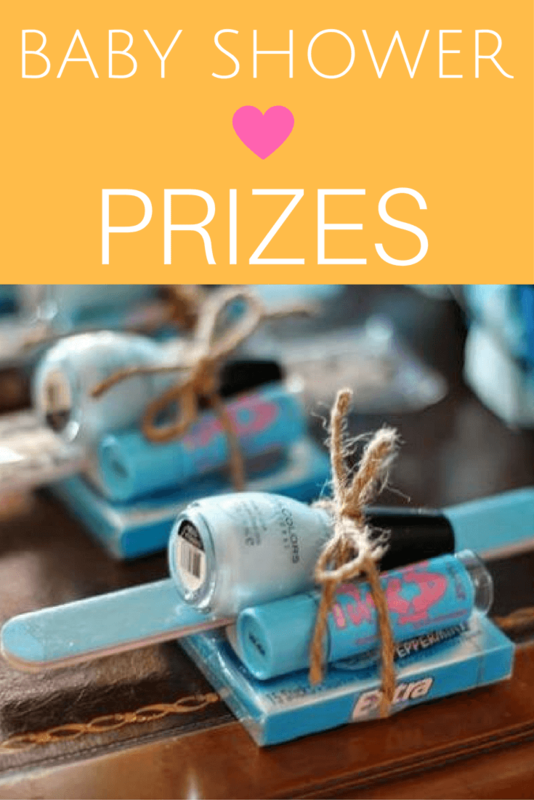 The person with the most right wins a baby shower prize! 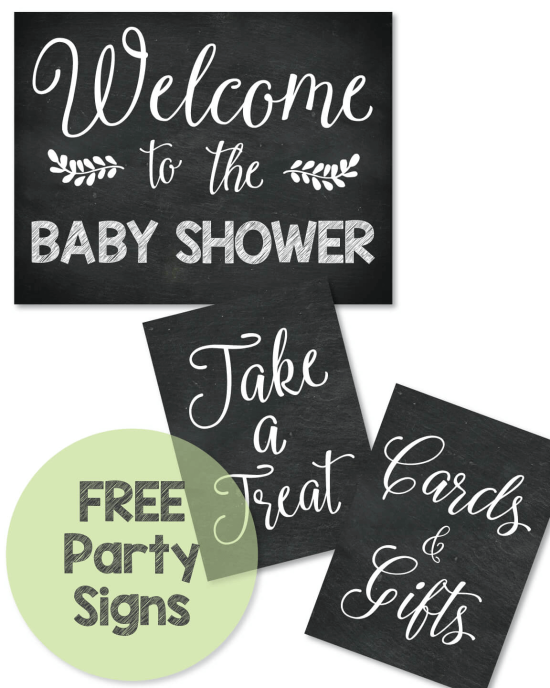 Print this 8x10" sign and place it in a cute frame for instant baby shower decor. 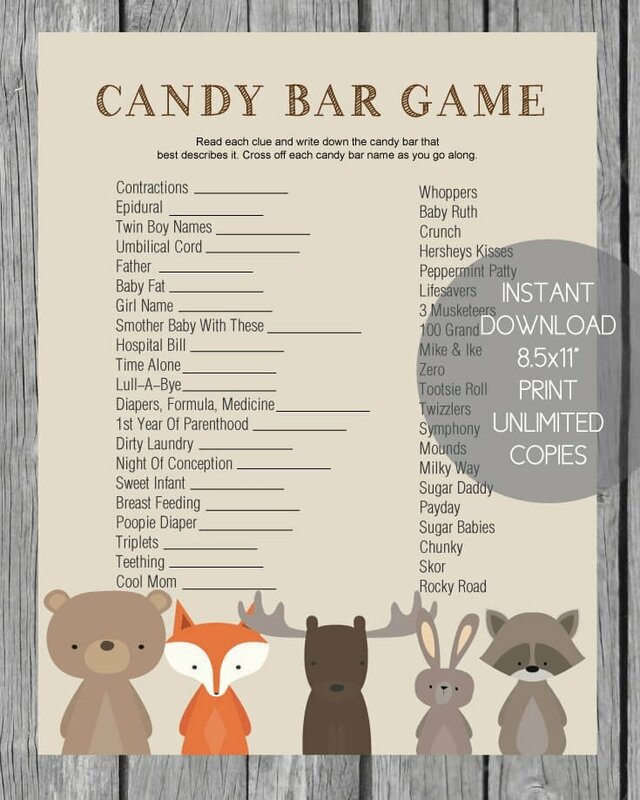 You can also give it to the new mom as a gift to hang in the baby's nursery. 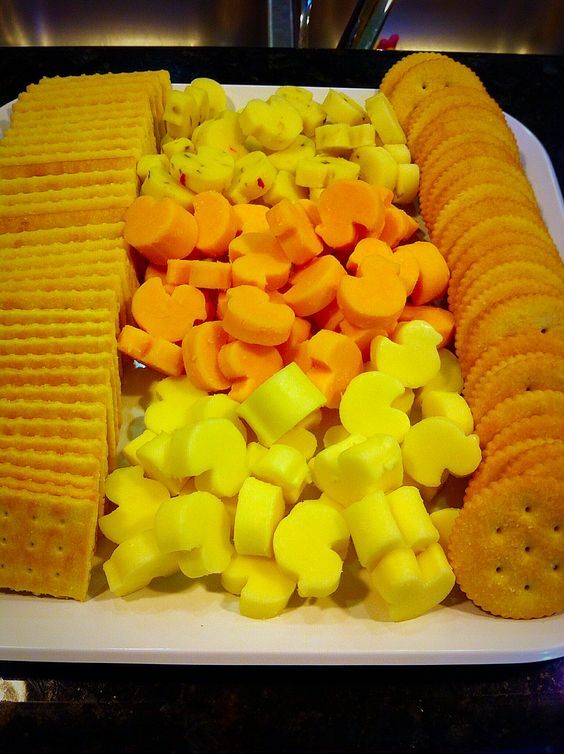 Slice different types of cheeses into think chunks and cut, using a mini duck shaped cookie cutter. 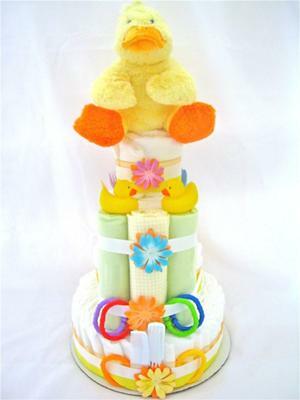 For a creative baby shower gift idea, fill this cute rubber ducky pool with baby supplies, toys and stuffed animals! 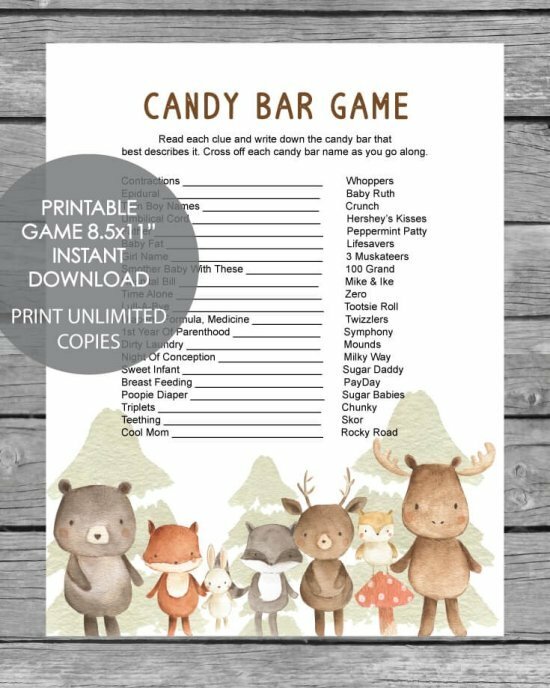 I played this clever and easy game at a baby shower a couple of years ago and everyone loved it! You can use a large galvanized tub if you do not want to use the duck bath above. Using a Sharpie pen, number the bottom of several mini rubber duckies and place them in the tub. When guests arrive give them a little piece of paper with a number on it. Throughout the shower, draw ducks from the tub and call out the number. The guest with the number called, wins a prize. 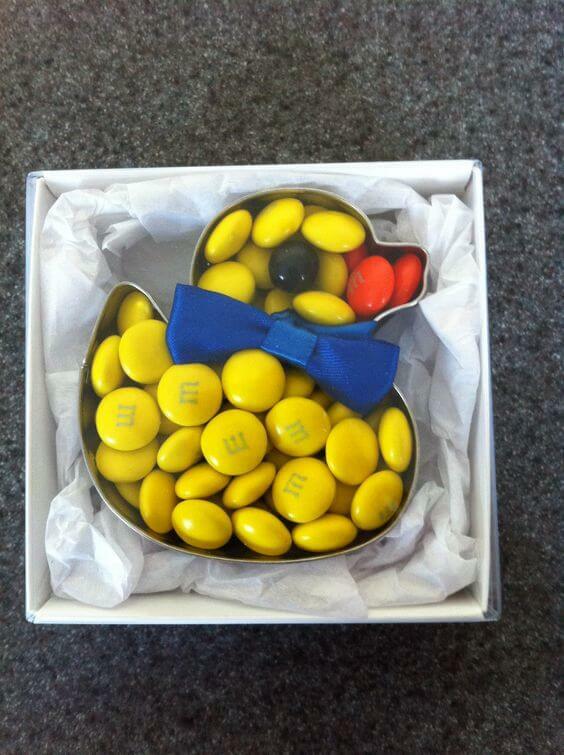 - The little ducks were also everyone's favors to take home. 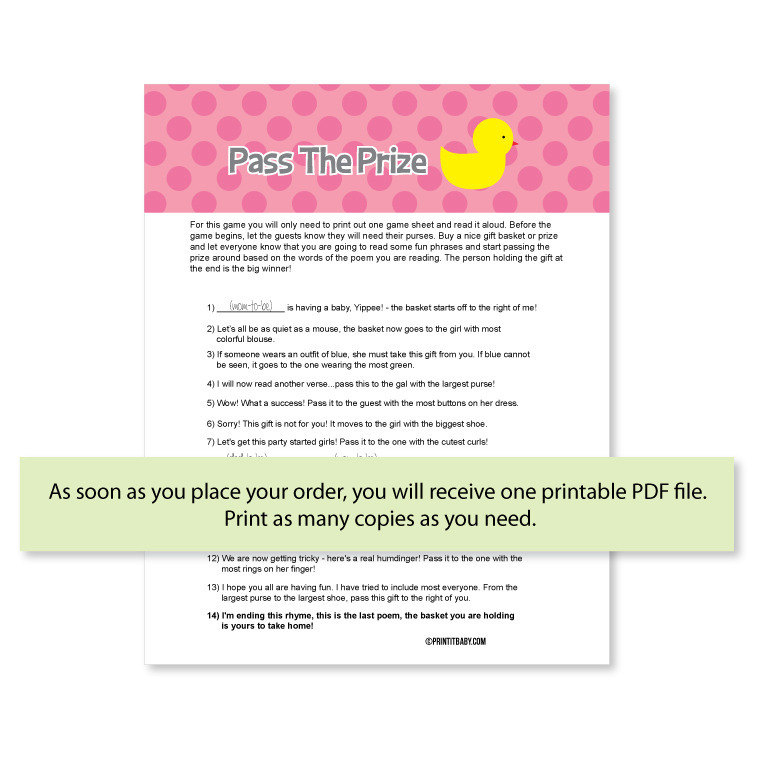 Have you heard of the "Name That Duck" baby shower game? It's pretty cute and is a fan favorite! 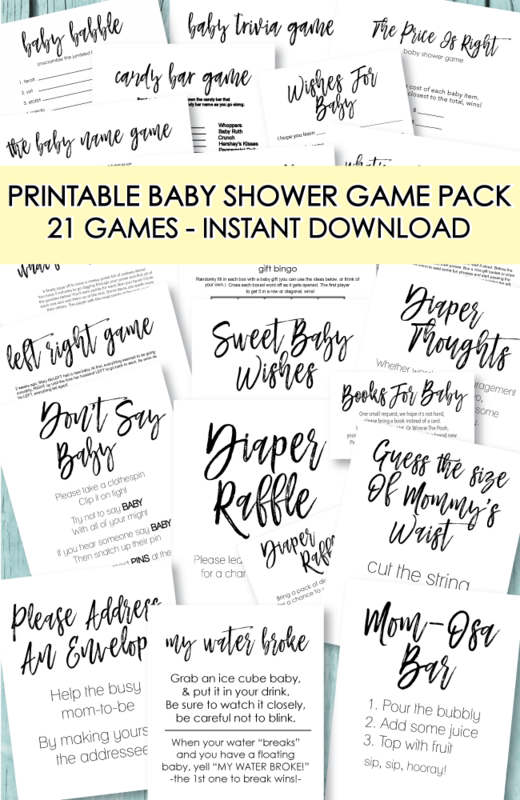 So we thought we'd write it all out so you can play it at your shower! All you need is a sheet of paper and a pen for each guest. Then tell the players to write down every kind of duck they can think of. This includes everything from mallard, comb duck, and even fictional ducks like Donald Duck. Give players 2 minutes to think of all the duck names they can come up with. The player with the most at the end of the 2 minutes wins a prize! Serve crackers and cheese, only make up a little table sign saying "quackers and cheese" and set it next to the appetizers. If you want to get extra-creative, use a mini duck cookie cutter and cut the cheese into little ducks. Often times when you go to the park, you bring bread to feed the ducks. With this idea in mind, take a large loaf of french bread and hollow it out, saving the insides. Fill the bread bowl with spinach dip (you can find the recipe on the package of Knorr vegetable dip). Place all of the bread pieces in a bowl and add a cute sign that says "Please Don't Feed The Ducks!" Get some cute yellow and blue dishes, fill them with goldfish crackers and label them "Duck Food"
Make up some duck sugar cookies and frost them bright yellow. 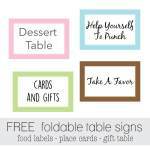 Serve them as a snack or wrap up and give as simple party favors. 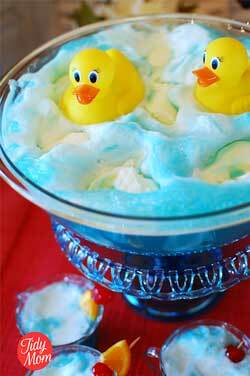 Make some blue finger jello, cut into squares, add a dab of whip cream and top with a mini rubber ducky. 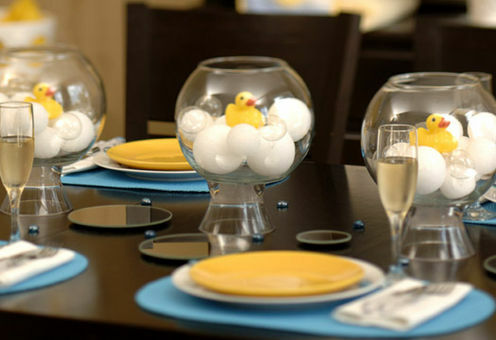 For the cutest centerpiece idea, fill a round vase with Styrofoam or ping pong balls to resemble bubbles (you can also use clear ornament balls) ~ add a cute rubber ducky on top! 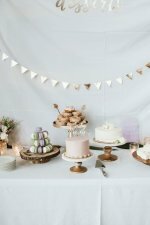 For an elegant look, use a white or cream colored fabric tablecloth. Lay down some yellow tulle and sprinkle daisies and babies breath around the table. Tie a big yellow bow to the chair the mom-to-be will sit in. Jazz up your tableware by using yellow or blue plates, cups, napkins and utensils or use cute duck-themed supplies. 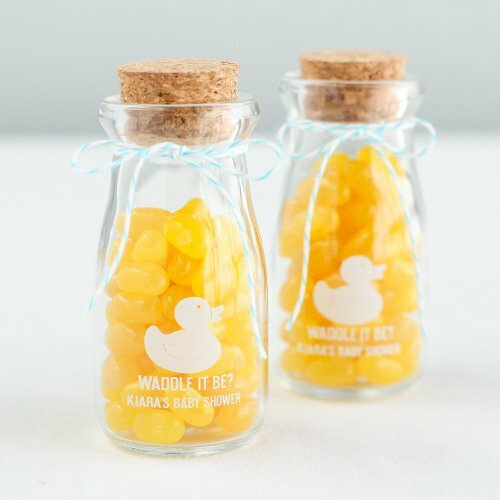 Pass out some cute baby shower duck favors such as mint tins, duck soaps, duck bath fizzies or duck candy bars with the shower info printed on them. Another cute and simple favor idea is to hand out mini bottles of "bubble bath" along with a cute washcloth wrapped around it - tie with a cute ribbon! You can also attach a favor tag to the favor that says "From Our Shower to yours!" made by our talented readers!